I try not to write too many negative reviews. I want people to come here for a celebration of sandwiches, not a festival of gripes. I’ve got a file full of sandwiches about which I didn’t have anything nice to say, so I didn’t say anything at all. But every so often a sandwich comes along that just strikes me the wrong way, something that I find genuinely offensive, and I feel compelled to tell others about it. This afterthought of a torta is one such sandwich. Plenty of taquerias don’t pay much attention to their tortas. They’re focused on other things, and that’s only fair: In most taquerias, the torta isn’t the big seller. Luckily for these establishments, the torta is a forgivingly simple sandwich. It doesn’t require much effort or care. Good meat, good bread, a bit of cheese, avocado, or a tasty salsa, and there you go. The torta at Iguanas is a failure on all fronts. The bread, sliced down the middle, began to fall apart as soon as I picked it up. I’m not sure if it was old or improperly stored or the victim of some manner of hex, but it lacked all integrity and literally went to pieces on me. Sandwiches are held, as we all know, and it’s hard to enjoy one that’s making a quick escape from your grasp. The meat was dry and bland, part of the appeal of carnitas is the bark it develops in the second stage of cooking; roasted at high heat or laid out on a griddle, the fatty pork develops a crisp, chewy exterior. That was completely lacking in this sandwich, and wherever it was hiding it had all the flavor to keep it company. With the bread and the meat failing, everything else went into a free fall. Iceberg lettuce isn’t going to save anything, nor is mayo. Cheese wasn’t advertised as being part of the sandwich, so it’s hard to complain about it lacking, but guacamole was promised and was not delivered. In short, everything that can go wrong did, and I ended up making my way through the worst torta I’ve ever come across. I take no joy in recounting this for you today, but some things are inescapable fact. 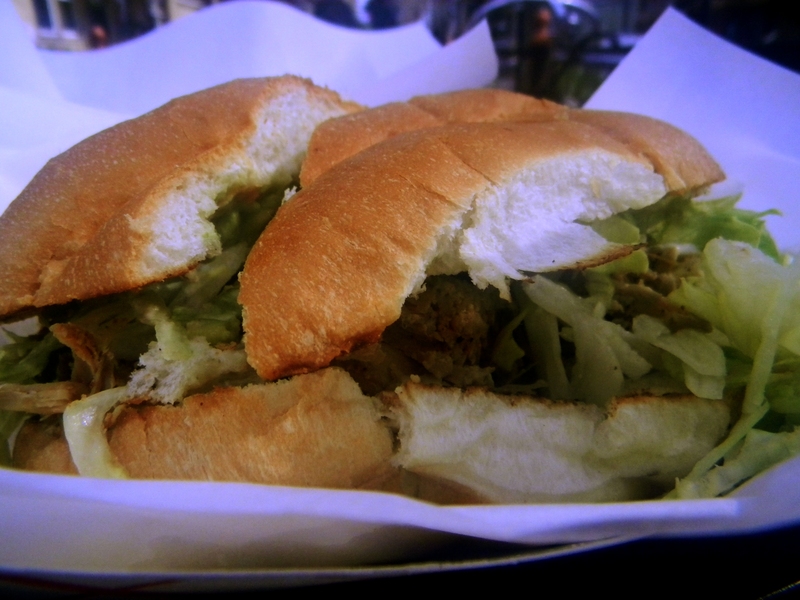 This entry was posted in Sandwich Reviews and tagged Reviews by Pete, San Jose, Sandwiches I Have Eaten, Torta by Pete. Bookmark the permalink.